May 30, 2011 /Photography News/ Entries are being accepted for the 8th edition of the WINEPHOTO contest. 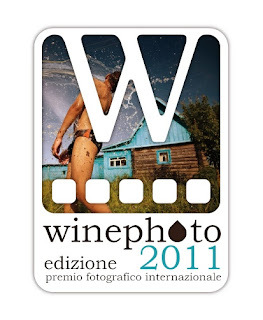 WINEPHOTO is an International Contest open to professional and non-professional photographers from all over the world. Since the first edition in 2004, works have arrived from 65 countries, 38 photographers have been awarded and six special mentions have been given. The final exhibit, made up every year of the winners and the works selected by the jury, has shown young authors that are now receiving important international acknowledgment. WinePhoto is organized by Diego Orlando, Fabio Balan and the Town of Mogliano Veneto in collaboration with DRBartstudio and Eniweb, under the aegis of Regione del Veneto, Provincia di Treviso, Comune di Mogliano Veneto, Italy. The theme 2011 edition is "REINASSANCE, stories that could have not bee. Photographers are encouraged to not be literal in their interpretation of the theme, but rather to let the theme be a launching point for creative thought and vision. The participants are invited to send an original body of work (between four and 12 images) to develop the theme. The winner will receive 4000 Euros to continue a personal project, in addition to a selection of fine wines (for the value 500.00 Euros). Second/Third/fourth/fifth prizes will also be awarded a selection of fine wines valuing 400.00 Euros each. An additional special mention prize will be given for projects relating to food, wine, or agrictulture. The Winephoto Competion originally awarded images related to these three subjects. In that tradition, images reflecting the culture of wine and food will be eligible for the Special Mention Food Writers. The award will consist of a selections of fine wines (valued at 1000,00 Euros). For those countries where it is not possible to send wine because of their laws, an equivalent award in money will be given. The photos of the 20 selected finalists will be exhibited (a limit of one body of work per photographer), and prints will be produced at the expense of the organization. The panel of judges will be composed of David Alan Harvey (photographer, Magnum Agency), Kent Kobersteen (former Director of Photography of National Geographic Magazine), Antonin Kratochvil (VII agency), Alex Majoli (photographer, Magnum Agency), Ute Noll (gallerist, OnPhotography), Arianna Rinaldo (photo editor, OjodePez & D-LaRepubblica). An additional special mention (Menzione Speciale Food Writers) will be given by three journalists of international note. It is a free contest, pen to anyone who would like to give a personal photographic interpretation of the theme. The work may be colour or black and white. A photographer is allowed submit more than one project. Entries are only accepted online. All participants must grant explicit consent – in the event that their image is selected – to the use of their image by exhibition’s sponsors and for all advertisements solely connected to the competition Winephoto. Participation in the contest requires that the author is in possession of the release of the subject photographed to use his/her image, in any form, for the use of which he/she will assume full responsibility. All rights to the images will remain property of the participants. The awarding will take place in September 2011, in Mogliano Veneto, Italy. to learn how to write efficiently and quickly and offer good rates for bulk work. Thanks dear for this post. I am providing servicies of business problem solution.